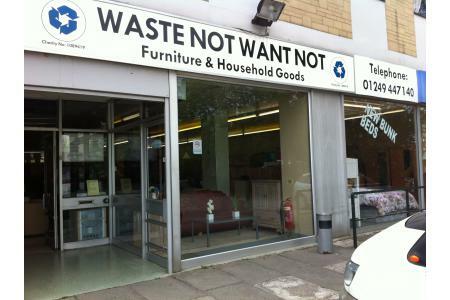 Waste Not Want Not - "Helping to Create Comfortable Homes"
WNWN helps people on low income create a home that they can feel proud of. The charity collects unwanted furniture and household goods and passes these on, at affordable prices, to vulnerable families and individuals. Donated goods are passed on to a mix of clients who are from vulnerable families and individuals which include single parents, re-housed homeless, victims of domestic violence, people with special needs and the elderly Waste Not Want Not offers volunteering opportunities to a wide section of the local community. Volunteers include those with special needs, young people on Government Training schemes and individuals rehabilitating after mental health issues.